We asked IB alumni to offer their best advice for making the transition from IB life to university life. Diploma Programme (DP) graduate Vidish Parikh is an alumnus of Turner Fenton Secondary School, Canada. He is now a student at Wilfrid Laurier University, Canada, and an academic writing tutor at the Laurier Writing Centre. I vividly remember the day I got my first university offer letter. I was excited about the prospect of a fresh start, and yet recall being nostalgic about my IB Diploma Programme (DP) experience. I say experience because the IB programme was a transformative journey; it has helped me better understand myself and the world around me (more on this later). My advice to fellow IB Diploma students beginning the university applications process would be to start as early as possible. In the next few months, you will have an array of academic commitments, and careful planning will be your best asset. What advice do you have for students navigating the university application process and life as an IB candidate? Leave a comment below to tell us what worked well for you or your students. University admissions season can be a stressful—even overwhelming—time. Remember that questions regarding future career aspirations or programs of interest can be quite loaded ones. It will take time to unpack such questions. So, give yourself the opportunity to reflect, and don’t rush. To understand your options, you will need to do your research. This may mean narrowing your choices to a few target schools and preferably talking to alumni from those schools about their experience. In the long-run, the answer to where will I fit in is vital. You are going to get a great education no matter which university you attend; This, I have no doubts about. However, certain programs and schools will just naturally work better with your unique skill-set than others. Are you looking for a more applied education? Are you looking for an opportunity to do research at the undergraduate level? Does math make you naturally inquisitive? The answers to these questions matter—I would argue that they show a level of self-reflection that is far too often overlooked. Admissions committees want to know how you can add to their program, and this makes personal branding vital. You know, arguably better than anyone, that learning is a process. And we can likely all agree that learning is so much more than just your academics. The word well-rounded gets thrown around often, but, as the applicant, it is your job to communicate your personal brand. One of the best ways to add this personal touch is through a compelling story. This will go a long way towards showing your progression as a learner. Think of your undergraduate application as a stepping stone—an opportunity to showcase what you have learned through the IB Programme and apply it to an area of interest that you find intellectually stimulating. You will quickly realize that the application process is only one of the many hurdles you have faced through your student journey. As a DP student, you value the importance of hard work, you understand that things take time to develop, and you know that almost nothing is black and white. This is when your innate sense of self has to kick in; the motivation, then, should stem from your desire to learn and grow. You have done various internal assessments (IA’s), the extended essay, and written more exams than you can count; you can handle this. We often say do what you love, but you are not going to enjoy every course. That’s the truth. There may be no obvious way around that fact, but the skills that this program has developed in all of us, the analytical and problem-solving that this program demands for instance, will be invaluable tools across your university years. It takes time to deconstruct a subject and immerse yourself in it enough to fully appreciate it. Your ability to take on a variety of tasks, and do them well, will also be a highly-sought after skill. In today’s fast-paced world, work and other professional experience matters. Creativity, activity, service (CAS) hours have allowed us to develop a long-standing commitment to our communities. We value developing relationships and we understand the importance of communication; it is these intangibles which can give you a competitive edge. Remember that no experience is insignificant, voluntary or otherwise. Work to build a portfolio of experiences that you can clearly articulate, and you will have a package that will surely stand out. 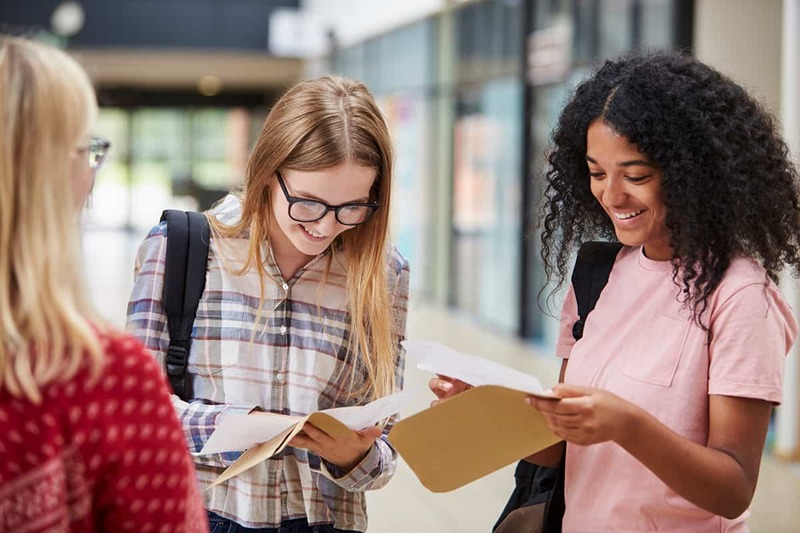 Many universities in Canada (and the United States) offer transfer credits or other forms of merit for your coursework in the DP, so submit your final IB transcripts. Note that you may also earn advanced standing, and potentially lessen your course load during your academic program. Ultimately targeting your applications to your program or school of interest will make you stand out. Is there something that draws you that program, or city? If the opportunity is outside of your home country (Canada in my case), does the opportunity merit the distance? Only you can answer these questions, and only you can determine whether a program is a right fit for you. But when it comes to applications quality trumps quantity, a few well put-together applications can be the difference between an offer or a rejection. In that sense, prestige does not matter as much as you may think. Don’t get caught up in how competitive a particular programme is, just focus your energy towards crafting a strong application. Mentors (former alumni) are your best resource. We want to craft a career in X industry and Education from Y school is our tool to get us there. But, don’t forget that it isn’t as linear as it may seem; there are multiple ways to get to your end goal, and no school will make or break that opportunity. This is where your positive attitude will pay dividends. In recent years, Co-op programs have been offering experiential learning opportunities to complement your degree. I am a huge proponent of complementing your degree, and I do believe that work experience is one way of doing this. For one, your major will take up a great deal of your time, so you might as well spend your time customizing your degree as you see fit. That might mean continuing your studies in a second language to achieve fluency (I took SL French B in the DP and am working towards Fluency in French by taking a minor at my home institution). So, as you make your final push toward the IB diploma or the newer Career-related Programme (CP), remember what these programmes have taught you: transferable skills are a must. Leverage your writing abilities to talk about your diverse academic experiences. Discuss your ability to thrive under pressure, and multi-task. Don’t undercut yourself because you have worked hard, and always proofread your submissions because the little things matter. I would like to end off by putting the application process in perspective. As young adults, we are going to be the future working class. It’s as simple as that. It’s our turn to make history, to innovate, and to give back to our communities, and the world at large. Remember that the naturally curious, hard-working minds find a way to succeed. They find a way to innovate and build. No matter what institution they study at, they can and will change the world. So, don’t let up now, and don’t be afraid to ask for support from trusted family and career planners. People can be our best resource. It’s time to shine. Good luck. Alumni contributor Vidish Parikh graduated from the Diploma Programme at Turner Fenton Secondary School, Canada. He is a current student at Wilfrid Laurier University, Canada, majoring in Economics and minoring in French. Visit ibo.org/alumni and to learn more about the IB alumni network. Read about our featured graduates to see where other students have taken their studies and careers.